The Gate by Larry Dyke ~ Larry Dyke is one of the most talented and versatile artists in print today. 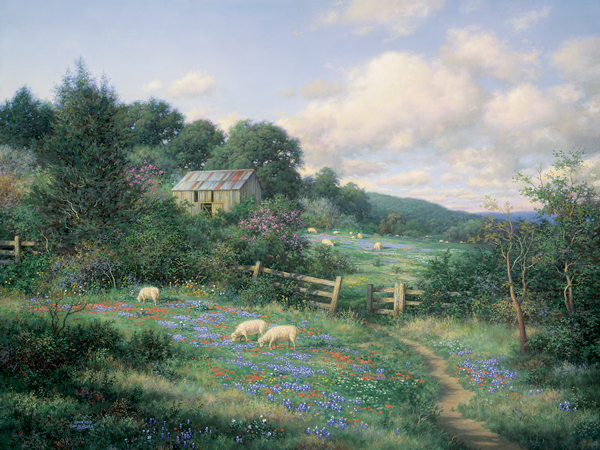 Although he is best known for his detailed paintings of classic golf courses, this artist is equally at home painting a majestic mountain landscape or a small stream in the Hill Country of Texas. The Gate is a little jewel alive with rich color.